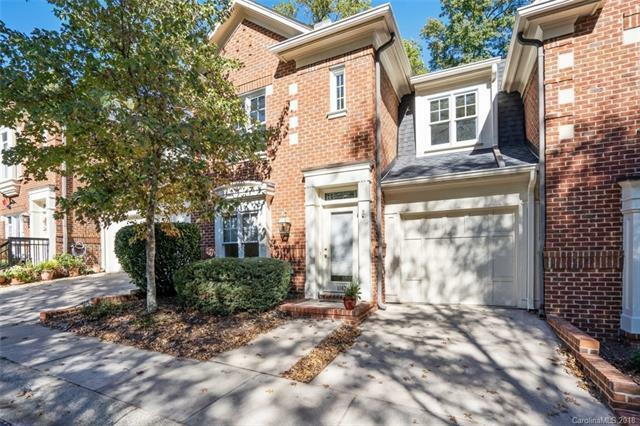 Tastefully updated brick townhome located off Park Road! Soaring two-story foyer with columns opens to sunken formal dining area. 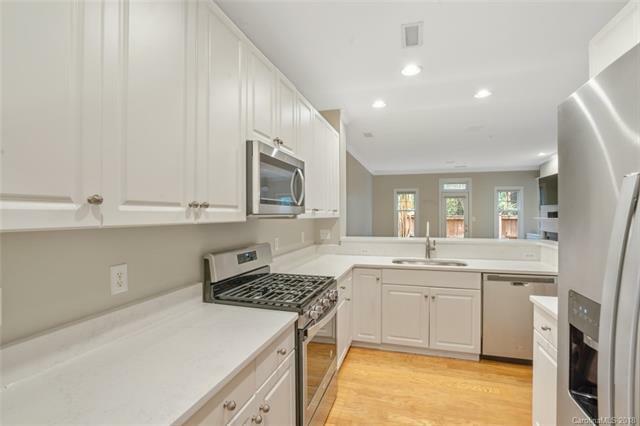 Bright white kitchen with recessed lighting, new stainless-steel appliances to include gas stove and under-mount stainless sink, gleaming quartz countertops and pantry. Spacious living room with gas log fireplace, built-in shelving and cabinets to provide additional storage. 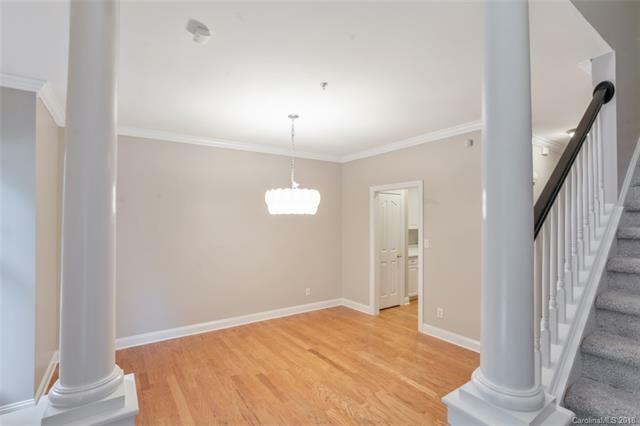 Convenient half-bath off living area. Airy master suite with large walk-in closet. Master bath with dual vanity in master bath, jacuzzi tub, walk-in glass shower and linen closet. Spacious second and third bedrooms share second full bath. Large storage/utility room on 2nd level. Enjoy a quiet evening on the private enclosed patio. Two-car garage with a third parking space. New plumbing and lighting fixtures throughout. Fresh interior paint, new carpet and neutral dcor. Just a short walk to Freedom Park and minutes from Park Road Shopping Center, SouthPark and Uptown.